Beautiful splash of blue in-between the yellow. 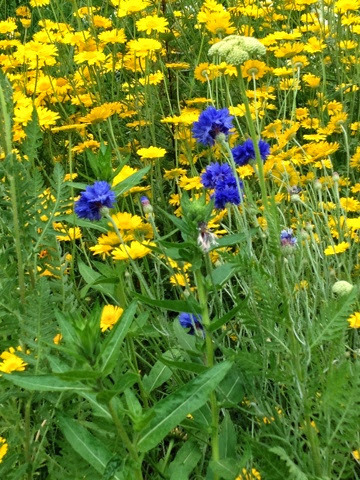 Love cornflowers. A day off, the first day of my part time working. It felt like a weekend as the ABO was off and we were with the children. We had a few jobs to do, and had that accomplished feeling when they were all done. A summer visit to Harlow Carr, we’d literally just missed Joan Collins and Robert de Niro (together? I don’t know) and....Ant & Dec! The start of Le Tour de Yorkshire. I wasn’t that enamoured I have to say. I was grumpy that it was going to make it difficult on my birthday weekend and the fact it just felt restrictive with the road closures. We thought we’d try and go close to the A61 to see if we could get parked and maybe watch the cyclists whizz by. Well imagine our surprise when there were barely any cars on the road and Chapel Allerton was almost a ghost town (not Caffe Nero, the queue was out. of. the. door.). We ended up going home to watch the race on the TV and spot local places. The crowds were busy along the main routes near us (and practically along the whole route over the weekend) and it would’ve been impossible for BigR (and me for that matter) to see anything. 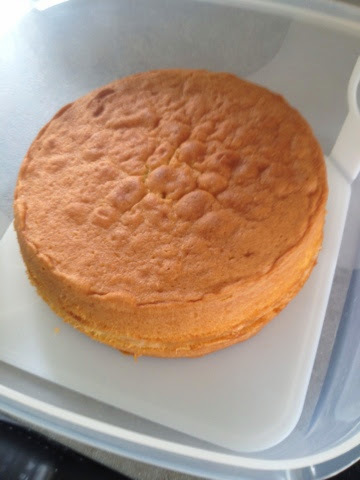 Team working my birthday cake, a Victoria sponge. It was very, very light. We decided to put jam in the middle, keep it traditional, and let it be able to last a few days longer (as the ABO was away with work) rather than decorating with cream. This practical abstinence led to the addition of ice cream! Well, I completed my 101 days. I think I’ll join in with Gillian and celebrate the happys in each week. I’ll aim for Friday (and after my disastrous attempt at scheduled posting) at some point in the week there will be a post! Hmmm not enamoured by Le Tour either I'm looking forward to the annual raft race in St Ives though. 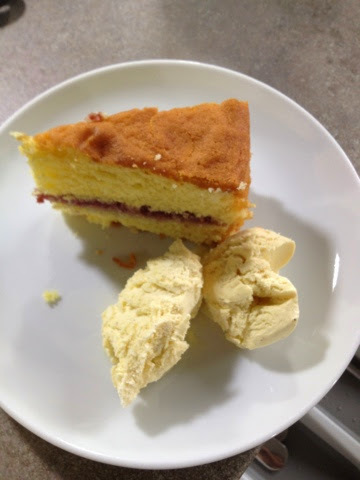 Personally I don't think that you can beat a victoria sponge. Happy belated birthday to you, and I look forward to you weekly happy posts. I always enjoy writing mine.